Known as “the eternal city” and packed with history, art, culture and famous sights, not to mention fantastic restaurants and great shopping, Rome is a magical place to visit, whether you’re looking for a weekend break or something a little longer. 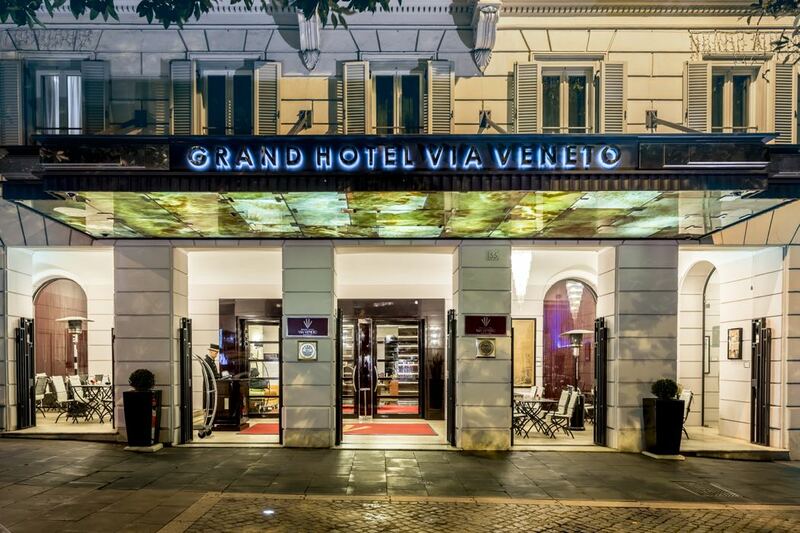 And if your idea of the perfect place to stay is a beautiful luxury hotel in a central location, you should definitely take a look at the Grand Hotel Via Veneto. Situated on one of the most elegant and expensive streets in Rome, made famous by the film La Dolce Vita, this chic hotel is within walking distance of many of the city’s best attractions. British Airways flies from Gatwick to Leonardo da Vinci International Airport, while Alitalia operates out of Heathrow and Monarch out of Luton. The hotel is just under 40 minutes’ drive from the airport and transfers can be arranged on request. 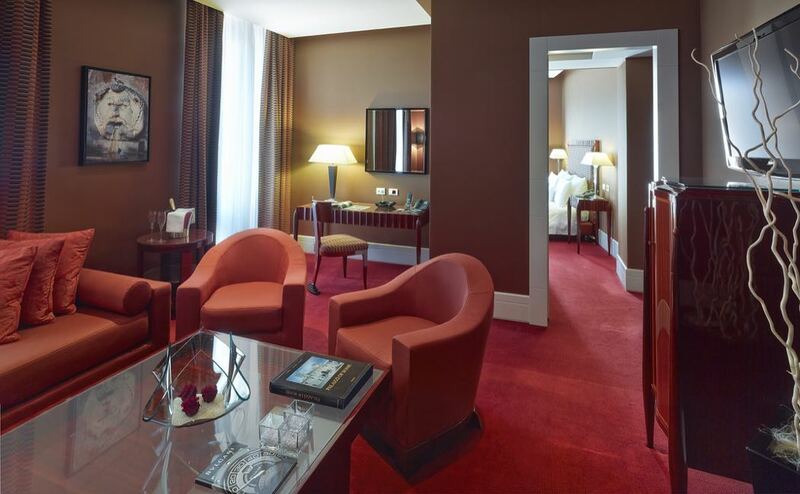 Housed in two elegant nineteenth century palazzos, the Grand Hotel Via Veneto boasts a sleek and understated class. The style is art deco, with 1920s inspired handmade furniture and an impressive original art collection that includes works by Miró, Picasso and Dalí as well as more contemporary artists. 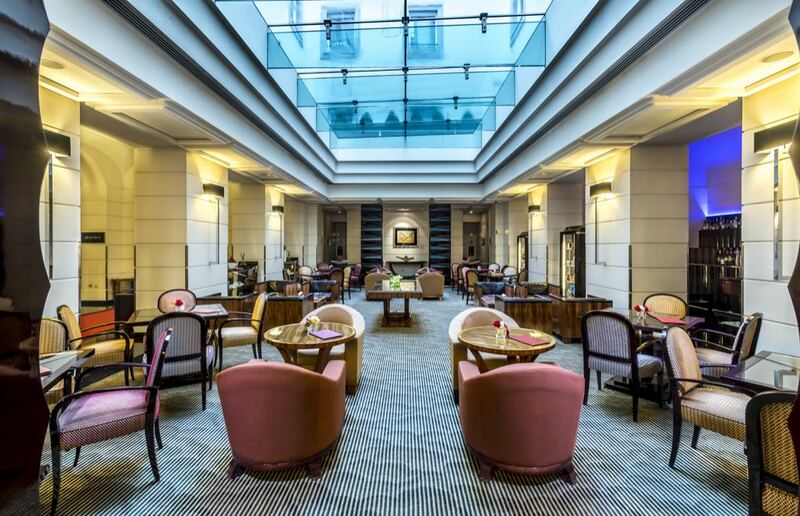 With spacious accommodation, a state of the art spa, two fine dining restaurants and a rooftop solarium, this beautiful hotel offers every possible comfort in addition to its enviable position in the very heart of Rome. The hotel has 116 rooms and suites, all of which are spacious and very light with large windows. All rooms are tastefully decorated in art deco style and feature unique pieces of modern art, and all offer plush king or queen size beds, individual climate control systems, fold-out flat screen interactive TVs, Wi-Fi, minibars and safes. The modern bathrooms are beautifully designed with Carrara Calacatta Caldia marble and polished wooden slats, and feature a tub with rainfall shower head or separate rain shower, bathrobes and slippers, hairdryer and luxurious Bulgari toiletries. Some of the larger suites benefit from beautiful private terraces. Room Tips – Those who want the quietest night possible should ask for a room on the third floor, although all rooms are soundproofed. People watchers will prefer rooms overlooking the Via Veneto, and be sure to ask for one of the rooms with a small balcony if you fancy the opportunity to sit out with a drink in your own private little outdoor space. Guests can enjoy fine dining at two of the hotel’s restaurants – Magnolia and Time. 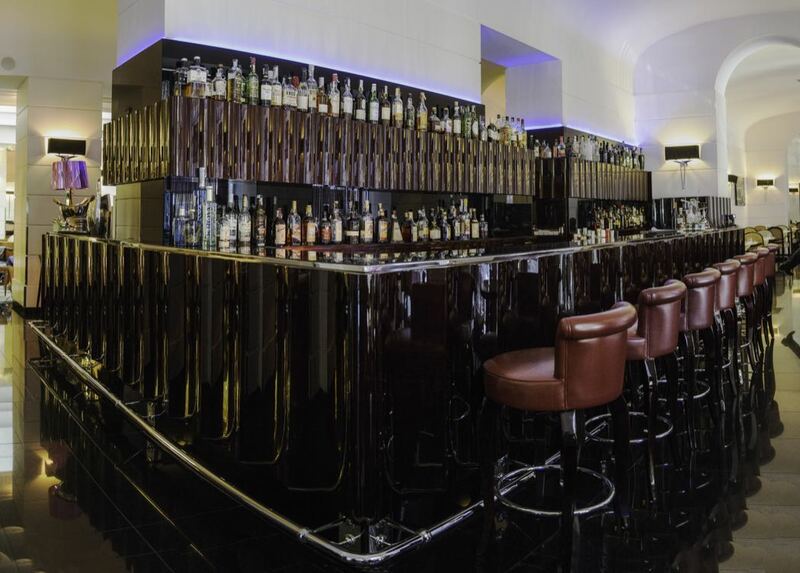 Time also offers a large, trendy wine bar with a gallery overlooking the Via Veneto. This popular meeting spot is a great place to watch the world go by while sampling a cocktail or two from the extensive menu – one of the largest in the world. For warm evenings, the SummerTime Sky Bar and Grill offers fabulous views over the rooftops of Rome as well as mouth-watering grilled fish and meat dishes, fresh salads and more great cocktails. Designed in stunning marble as a nod to the thermal baths of ancient Rome, the Aqva City Spa was created in partnership with high-end skincare brand Sisley and offers aromatherapy, chromotherapy, a Finnish sauna and a hammam as well as massage, a Vichy shower and salt-water vitality pool. The spa is a real haven of relaxation housed within this city centre hotel, and the perfect spot to unwind after a day exploring Rome. Many of the city’s most famous attractions are within walking distance, from the shopping, cafes, restaurants and bars on the Via Veneto itself to monuments such as the Colosseum, Trevi Fountain and the Spanish Steps. The hotel is just a few streets away from exceptional gelateria Come il Latte. Make sure you pay a visit for some truly memorable Italian ice cream! The Grand Hotel Via Veneto is a classy and very beautiful hotel, ideally located within walking distance of many of Rome’s biggest attractions.